Here at Fallone’s we provide lunches catered by Agatina’s Italian Restaurant. The children enjoy eating healthy foods that are brought to the center every day, freshly made each morning. The food is reviewed by a N.Y.S. licensed Nutritionist. 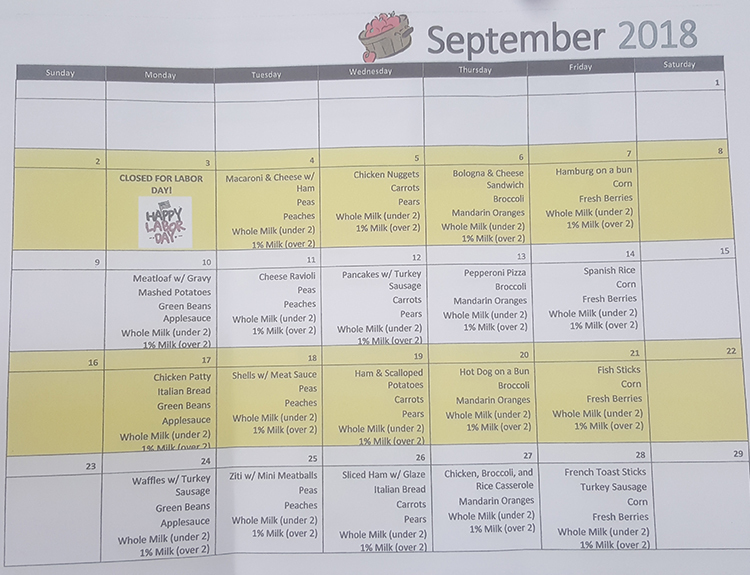 We have different menus for each season. Winter months’ soup is provided and for the summer we provide fresh fruits.